Students rose early to begin their workshops at Massey University this week. 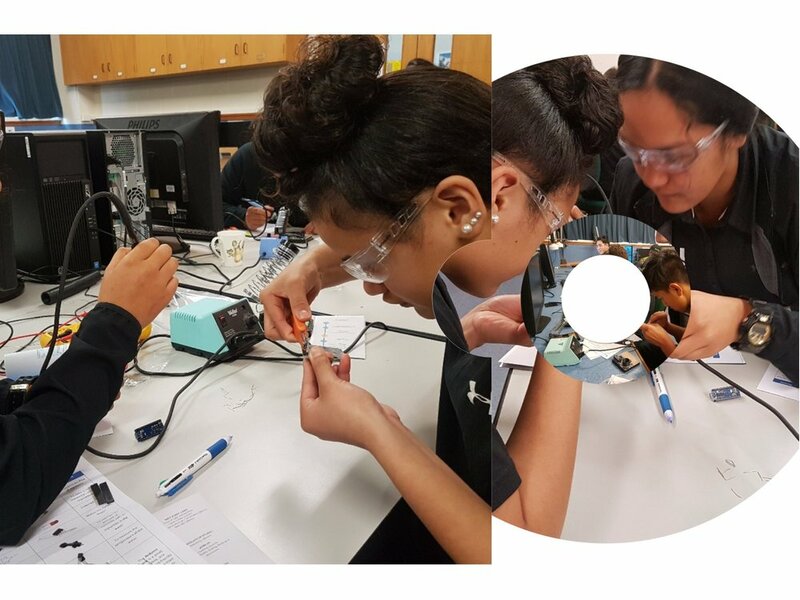 They were pumped to build their first sensor -a turbidity meter with the assistance of School of Engineering and Advanced Technology staff and students. Sensors measure a physical quantity, and convert it into a useable signal for the robot. Robots and sensors are set to change the world! That’s what researchers at Carnegie Mellon University’s Robotics Institute believe the answer to the world’s growing population is. In a new initiative called FarmView, researchers are working to combine sensors, robotics and artificial intelligence to create a fleet of mobile field robots they hope will improve plant breeding and crop-management practices. The mobile field robot in the FarmView initiative is equipped with a camera, a laser scanner that measures the plant’s geometry and a multispectral camera that can see non-visible radiation bands and measures plant function. Designing sensors and building robotics is a multidisciplinary platform that necessitates students learning critical subject skills such as calculus, mathematics, physicsand then applying this knowledge to science, engineering and programming. Turbidity sensors, for example, measure the amount of light that is scattered by the suspended solids in water. As the amount of total suspended solids (TSS) in water increases, the water’s turbidity level (and cloudiness or haziness) increases. Turbidity sensors are used in river and stream gaging, wastewater and effluent measurements, control instrumentation for settling ponds, sediment transport research, and laboratory measurements. As students attempted to build their turbidity sensor, key lessons were emphasised by the Engineers and graduates at hand. These included: sacrifice, diligence, hard work, persistence, focus and discipline. The groups ended their time in the Engineering labs receiving some timeless values that can lead to future educational success. Youth are our future generation and any investment of time and energies expended into their sense of future significance, placement and identity in the world is well worth the effort.